Visiting UN Expert Juan Pablo Bohoslavsky today expressed concerns over the Sri Lankan Government’s decision taken in May 2016 to increase the Value Added Tax (VAT) from 11 per cent to 15 per cent. 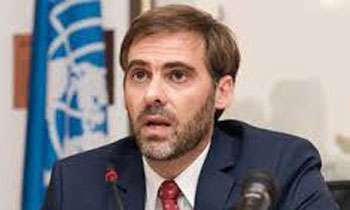 Juan Pablo Bohoslavsky, the UN Independent Expert on the Effects of Foreign Debt on Human Rights said, “I am concerned by the significant raise of the VAT tax rate, climbing from 11 per cent to 15 per cent in 2016, since the cost of such tax is borne by the poorest part of the population. In fact, revenue collection through VAT has seen an acceleration to 56.5 per cent in 2017,” he said addressing a news briefing in Colombo. He said recent reforms in Sri Lanka have resulted in rationalization in energy and farming subsidies, fuel price being now set with an automatic market-based mechanism and the price of electricity is about to be de-regulated along the same mechanism. However, he said he was concerned about the impact of such measures on the livelihood of fisher, farmers and rural communities’ households. Ngo institutions are more concern of wellfare of poor lankans than the careless government in lanka.government is like a looter robing the people as it wish. A even good concern by the UN Independent expert I am sure he is aware where some of this tax money collected from the poor goes. That is for special allowances to MPs, the tax free luxury cars, the unlimited and unproductive overseas travel to name a few. Non- OL qualified parliamentarians may claim that these news items directly addressed the mass of this country could not understand and matter is over.